Though this kinda looks bland and all one-color-ish, it was nice and spicy and a great way to start my day in Portland. 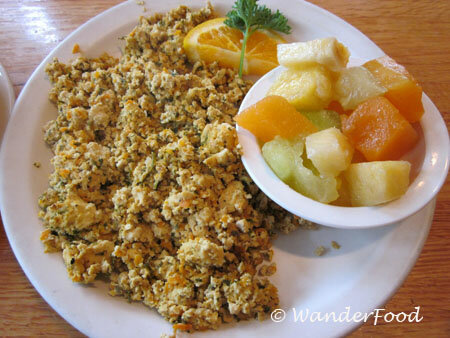 This is a tofu scramble from Old Wives’ Tales and was loaded with veggies. A side of fruit and a vegan whole-wheat English muffin and I was set for a good part of the day.